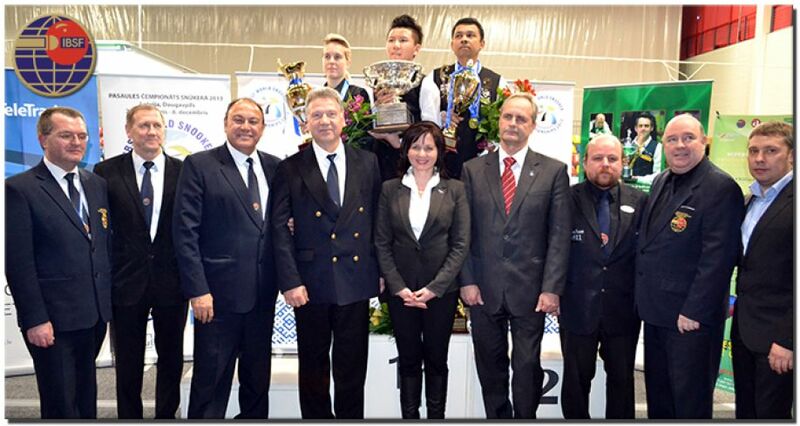 Zhou Yuelong of China becomes the World Champion here at Daugavpils, Latvia. 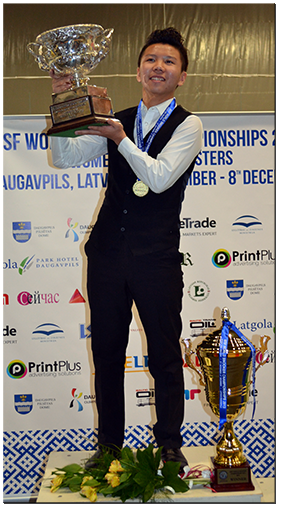 15 years old Zhou Yuelong reached to new heights routing his compatriot Zhao Xintong, another 16 years old teenager from China 8-4 in the best of 15 frames final of 2013 IBSF World Championship. By winning the title, he becomes the youngest ever cueist and the first ever Chinese player to win the world amateur snooker title. Zhou’s victory also kept the Asian supremacy intact by retaining world amateur title in Asia for fourth time in a row. In 2010 Dechawat Poomajaeng of Thailand brought the title to Asia and after that, Hossein Vafaei (Iran), Muhammad Asif (Pakistan) succeeded to retain the same and now Zhou also joined them. In the final, Zhao broke the silence by winning first two frames but the rally of five successive frame wins put Zhou in the commanding position. Though he gave away two more frames before winning the title comfortably 8-4. Zhou also made two century breaks to rout Zhao.